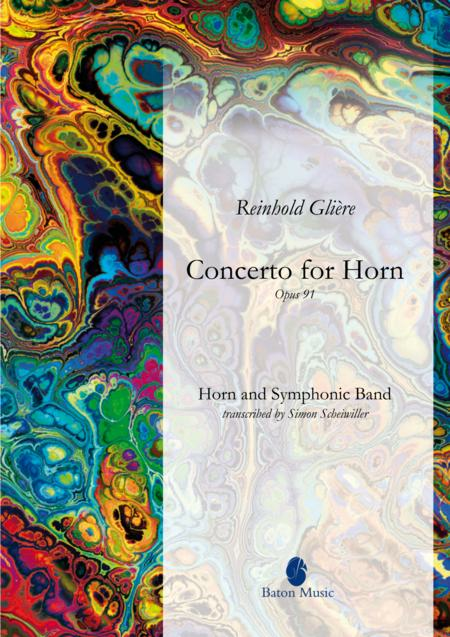 Reinhold Gliere's composed the Concerto for Horn and Orchestra in B-flat major 1950 for the Russian hornist Valery Polekh. Nowadays it's the best known of Gliere's acclaimed works and despite being composed in the 1950s it's written in a neoclassical style with strong Romantic influences. The concerto contains three movements: I. Allegro, II. Andante and III. Moderato - Allegro vivace.